It is possible to analyse a single division (or class, department, location, region, profit centre, etc.) as a standalone entity. This will allow you to add a budget for this division, and also consolidate this division with other entities. To do this, you will need to import a division as a separate entity. Important: You must first import the parent company before you can import a single tracking category, class or division into Fathom. 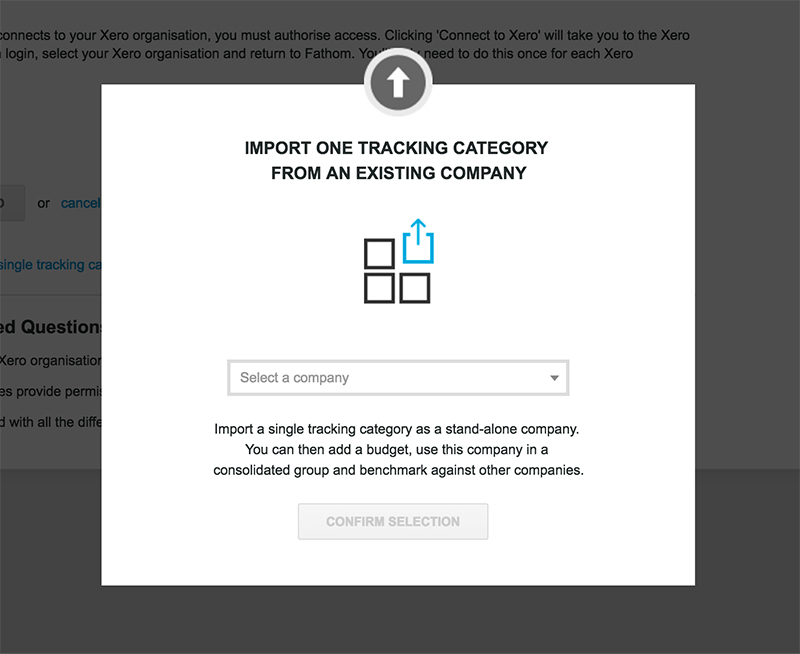 Go to 'Add a company', select either Xero, QuickBooks or MYOB, then select 'import a single division'. 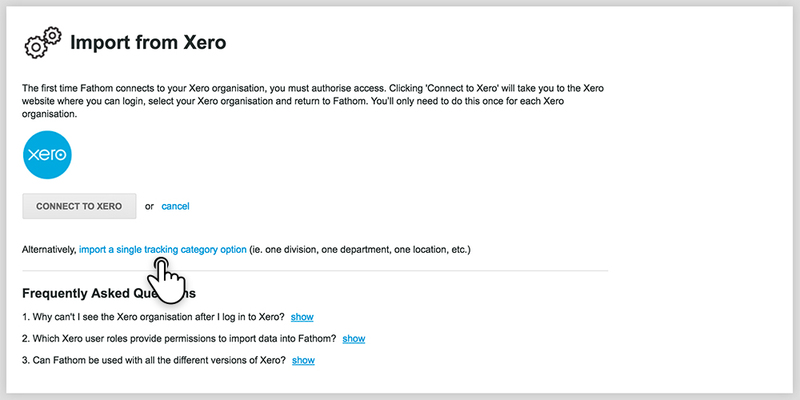 Select an existing company which you have imported into Fathom, and select one division from that company. Click 'Import' to commence the import of data for this division. The selected division will now be visible in the 'My Companies' screen in Fathom. Please note that each class imported as a standalone company will have access to all of the analysis tools in Fathom, and is thus treated as a separate entity for billing purposes. Can I import a budget for a standalone entity? Yes. A standalone entity can have a budget loaded. For a standalone entity from QuickBooks Online, you have the choice to add a budget from QuickBooks Online or from Excel. 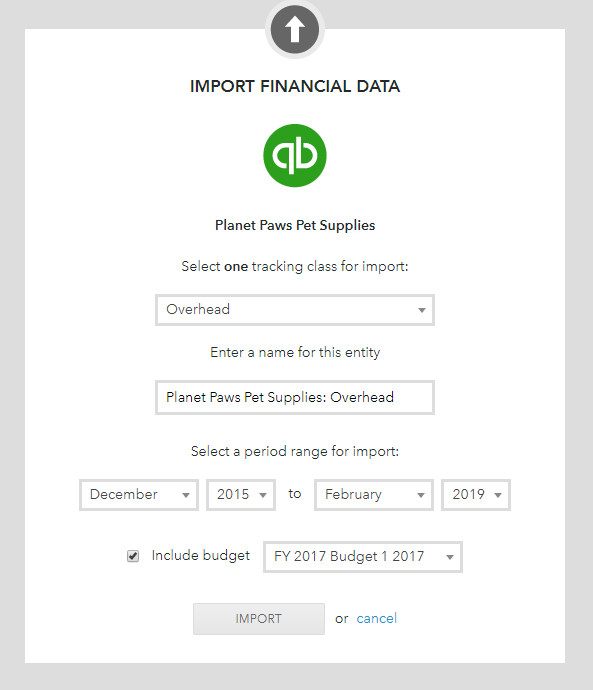 If the budget is sourced from QuickBooks you can select it during the import process. You will need to be careful that you select the correct budget as the budgets for the parent entity and classes are presented together. If you can want to add a budget from Excel, you can do this from the company setup after import, under 'Step 1: Update Data'. When importing from Xero or MYOB, it is not possible to import the associated budget for a division. As a workaround, you can add a budget for the division from Excel. Can I import a single class from QuickBooks Desktop as a standalone entity? No. Importing a single division is available only for our cloud-based integrations. It cannot be done through the Fathom Desktop Connector.